Fiberglass shingles are a relatively new material when it comes to roof installations and repair. Generally, fiberglass shingles are a type of asphalt shingles consisting of fiberglass mats. These are often considered to be a more cost-effective alternative to traditional felt mats. In other words, fiberglass shingles are similar to asphalt roofing materials but with better quality and higher durability. Fiberglass material is a tough and very resilient material that is non-porous, does not change shape, and won’t dry out. Therefore, fiberglass shingles are less prone to shattering when exposed to extreme winds, cold weather, or when walked on. Fiberglass shingles are also eco-friendly. Fiberglass and other asphalt products are recyclable. Aside from its high durability, it has high fire resistance as well.The components of fiberglass shingles are glass fibers and formaldehyde resins that are combined using asphalt. 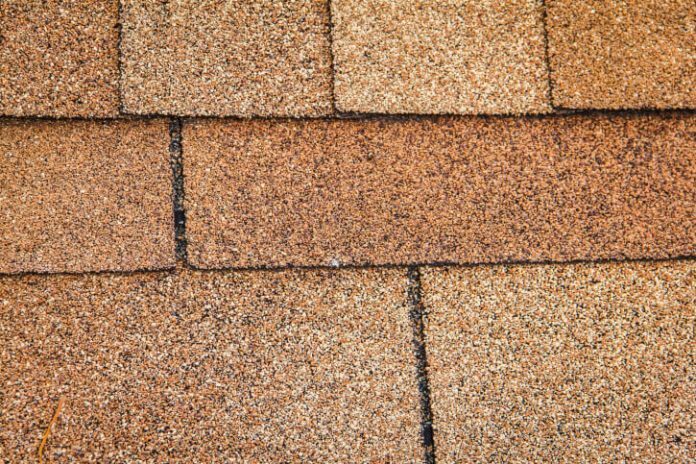 This type of mixture provides fiberglass shingles with a higher fire resistance rating than conventional asphalt shingles. So when purchasing fiberglass shingles for a DIY project, be sure that the product has a fire code rating of A. If it indicates a rating of B or lower, this means that the shingles are dominantly made of asphalt. Another great thing about fiberglass shingles is that they are available in a wide selection of designs and textures. This gives homeowners a lot to choose from when designing or constructing their homes. Fiberglass shingles will give homes a more unique appearance, resembling the more expensive slate and cedar roofing materials. For homeowners who are concerned about the long term value of their home, manufacturers of fiberglass shingles often provide warranties for their products. This protects your roof from snow, hail, and ice. An extended warranty makes fiberglass shingles a worthy investment for an average homeowner. Fiberglass shingles are also easy on the pocket. Fiberglass shingles are, on average, 25 percent cheaper than other asphalt products. With its high durability and longer life expectancy,coupled with the fact that fiberglass shingles resemble higher end roofing materials, it fiberglass shingles become an even more cost effective product. When installing the fiberglass shingles, keep in mind that cold or winter temperatures make the fiberglass shingles somewhat brittle. When they are not being used immediately, store them in the warm area of your home. In addition, when installing fiberglass shingles, hand tacking is recommended. Do this by using small cement dollops on the shingle so its sticks better to the roof. As with any type of roofing materials, some form of repair is necessary once in a while. A common problem encountered with fiberglass shingles is called thermal splitting. This occurs when a shingle becomes brittle. To prevent this, proper installation is essential. During installation, shingles must be nailed in place as required by the manufacturer’s instructions. This will prevent the need for shingle replacements in long run. As such, it is a wise idea to ensure that your fiberglass shingles are properly installed by a professional so they maintain their long life and durability. © Copyright Best Value Roofing. All rights reserved.